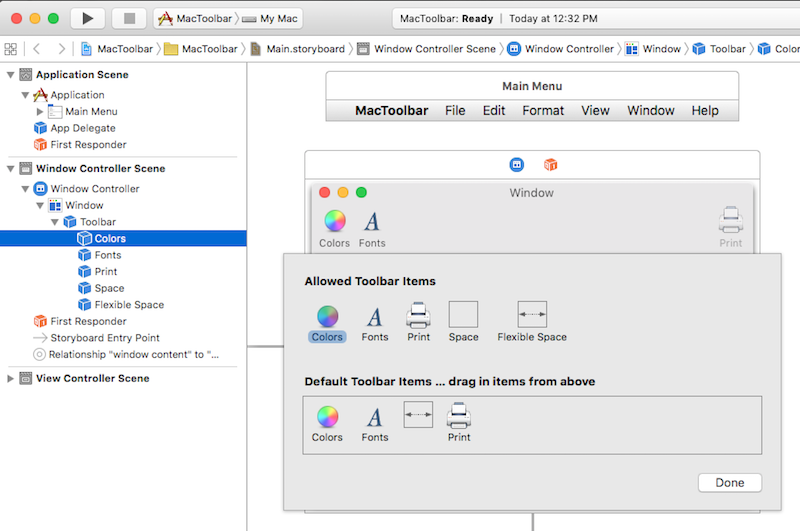 This article describes working with toolbars in a Xamarin.Mac application. It covers creating and maintaining toolbars in Xcode and Interface Builder, exposing them to code, and working with them programmatically. 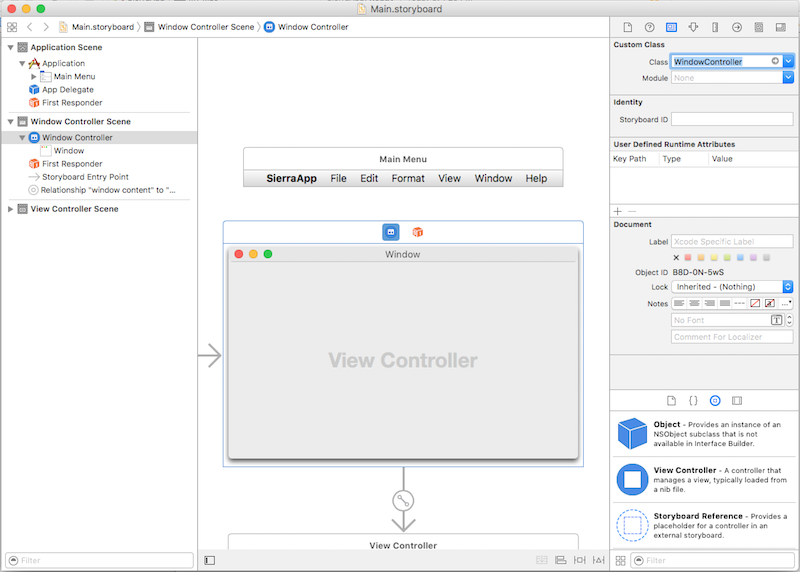 Xamarin.Mac developers working with Visual Studio for Mac have access to the same UI controls available to macOS developers working with Xcode, including the toolbar control. 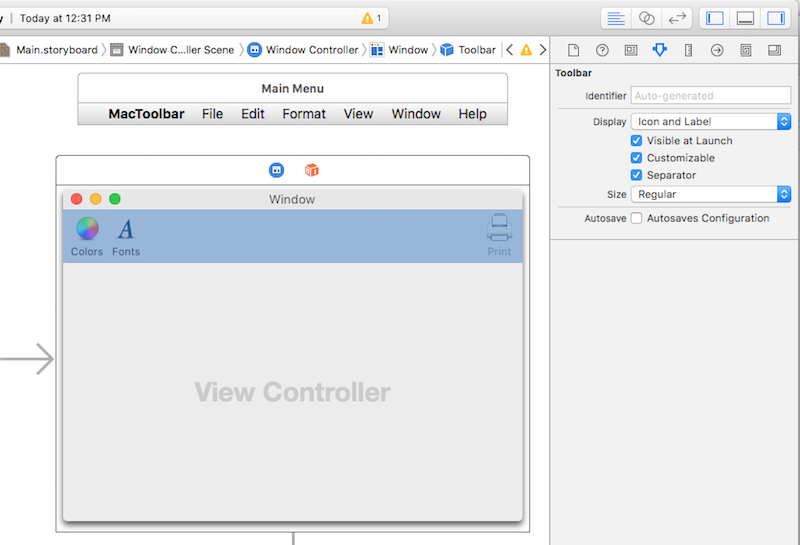 Because Xamarin.Mac integrates directly with Xcode, it's possible to use Xcode's Interface Builder to create and maintain toolbar items. These toolbar items can also be created in C#. 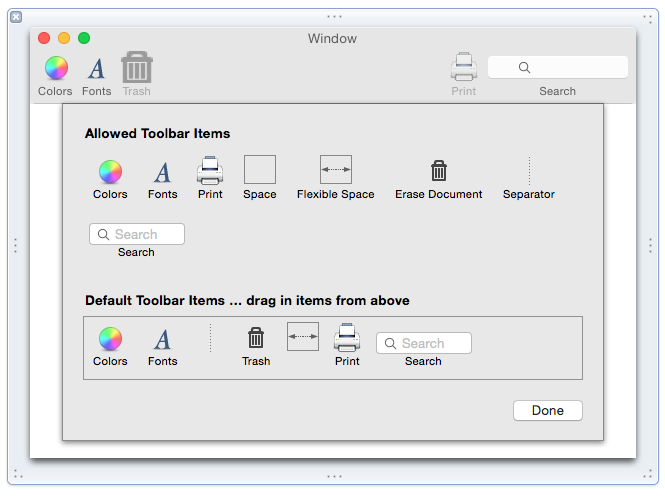 Toolbars in macOS are added to the top section of a window and provide easy access to commands related to its functionality. 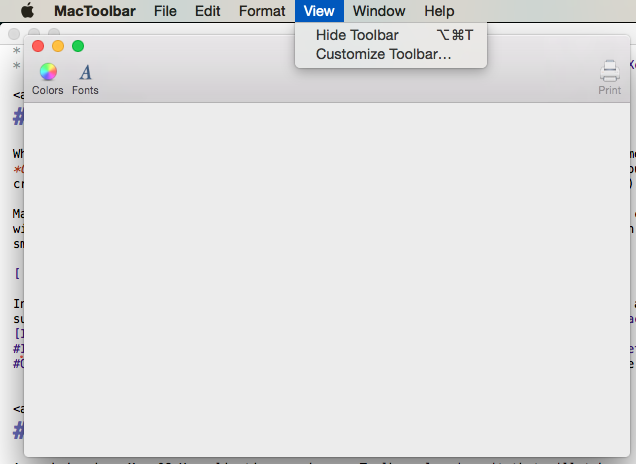 Toolbars can be hidden, shown, or customized by an application's users, and they can present toolbar items in various ways. 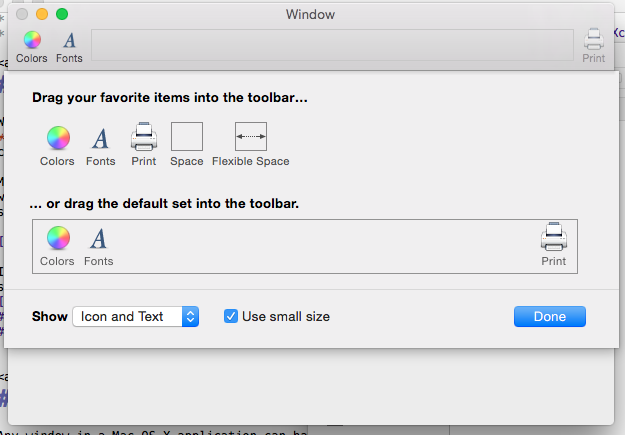 This article covers the basics of working with toolbars and toolbar items in a Xamarin.Mac application. Before continuing, read through the Hello, Mac article — specifically the Introduction to Xcode and Interface Builder and Outlets and Actions sections — as it covers key concepts and techniques that will be used throughout this guide. Also take a look at the Exposing C# classes / methods to Objective-C section of the Xamarin.Mac Internals document. It explains the Register and Export attributes used to connect C# classes to Objective-C classes. Toolbars provide an easy way for your application's users to quickly access important or commonly-used features. 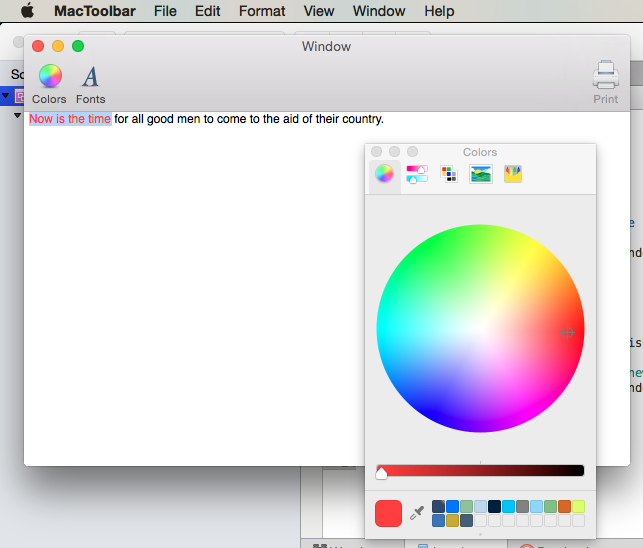 For example, a document-editing application might provide toolbar items for setting the text color, changing the font, or printing the current document. 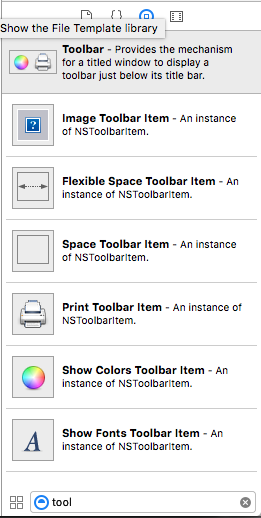 When setting up a toolbar in Xcode's Interface Builder, a developer can provide extra toolbar items that are not part of its default configuration. 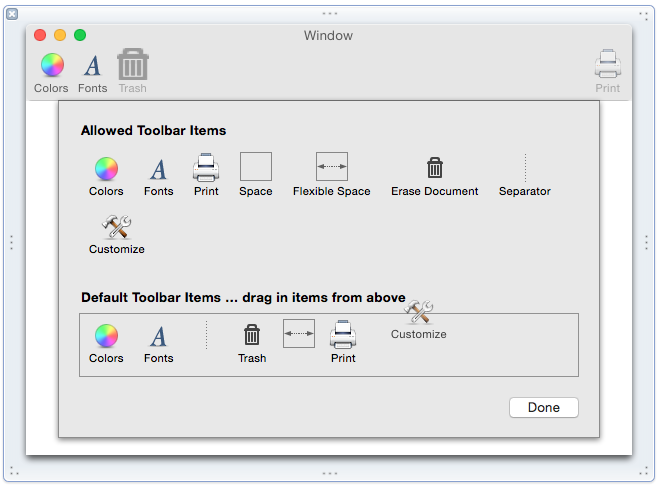 Users of the application can then customize the toolbar, adding and removing these pre-defined items as necessary. Of course, the toolbar can be reset to its default configuration. See the Built-In Menu Functionality documentation for more details. 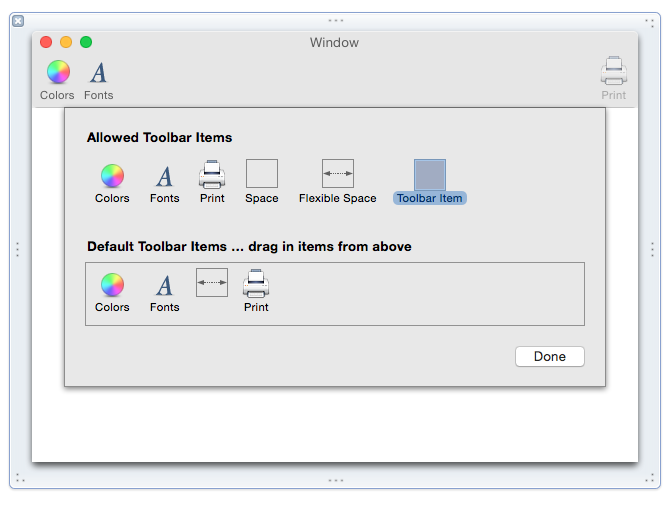 Additionally, if the toolbar is properly configured in Interface Builder, the application will automatically persist toolbar customizations across multiple launches of the application. 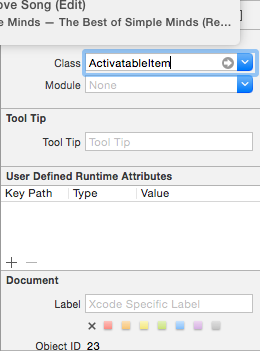 The next sections of this guide describe how to create and maintain toolbars with Xcode's Interface Builder and how to work with them in code. 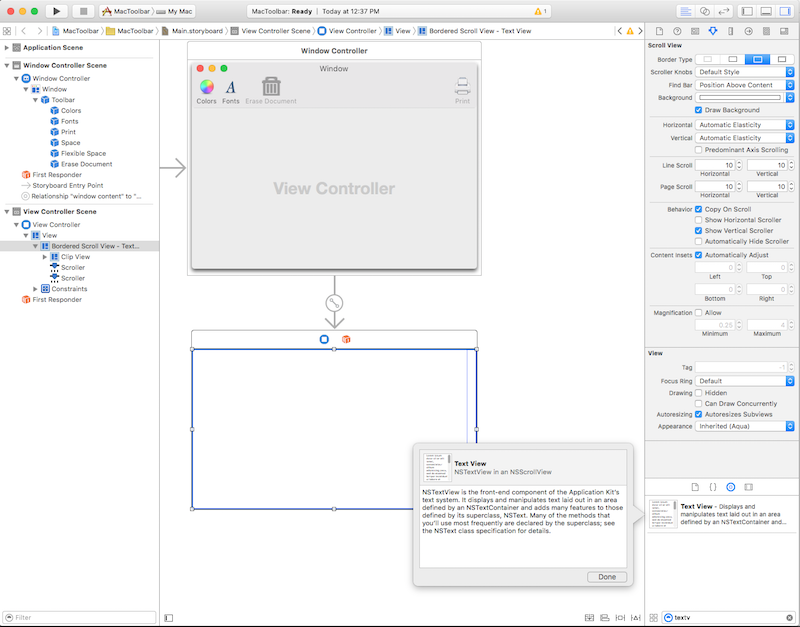 Open the app's storyboard in Xcode's Interface Builder. 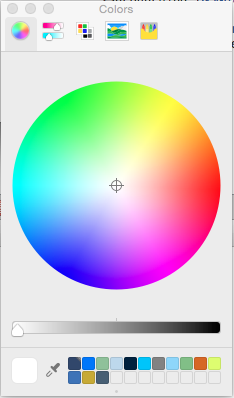 Select the window controller on the design surface. 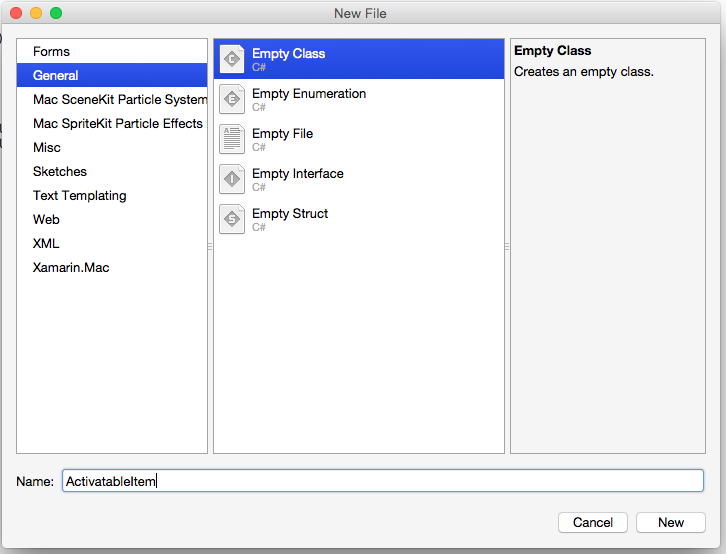 Save your changes and return to Visual Studio for Mac to sync. 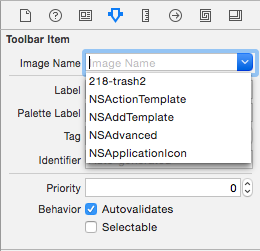 Reopen the storyboard in Xcode's Interface Builder. 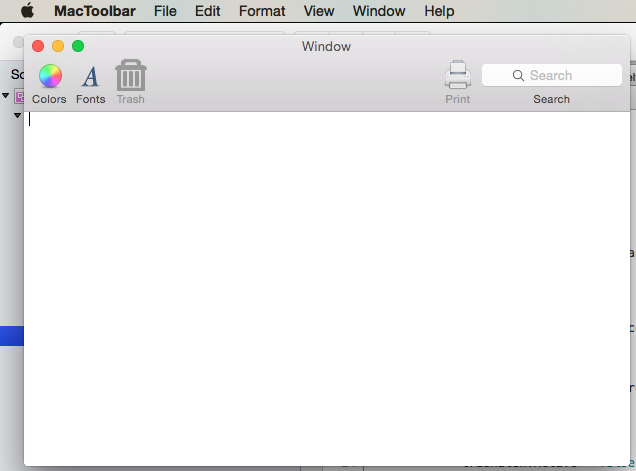 Visible at Launch - If selected, the toolbar is visible by default. Customizable - If selected, users can edit and customize the toolbar. 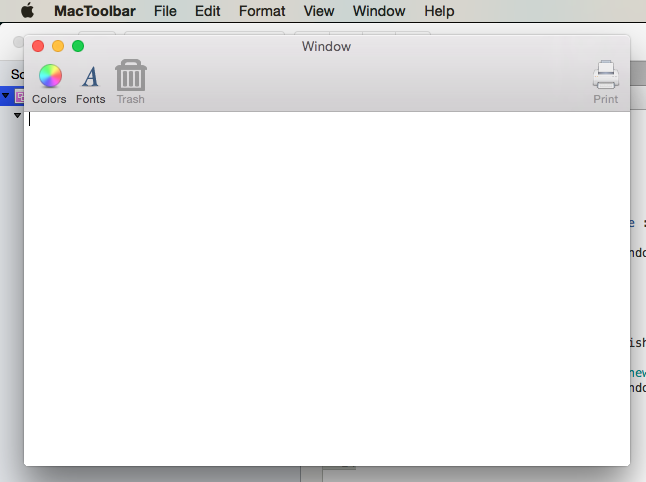 Separator - If selected, a thin horizontal line separates the toolbar from the window's contents. Autosave - If selected, the application will persist a user's toolbar configuration changes across application launches. Select the Autosave option and leave all the other properties at their default settings. 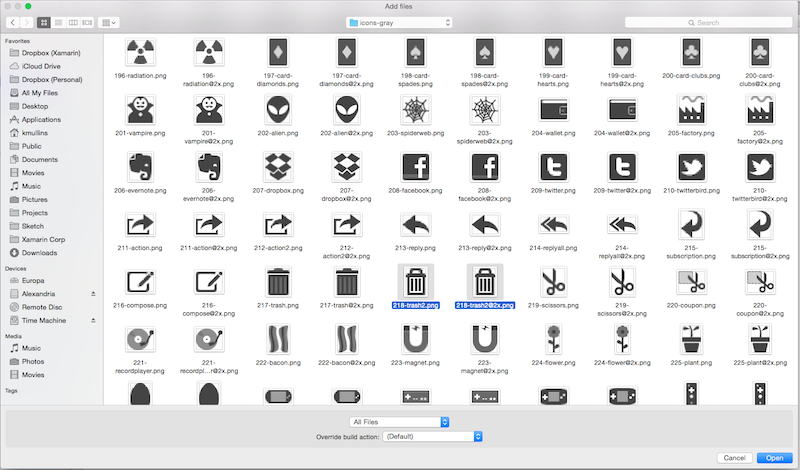 Image Toolbar Item - A toolbar item with a custom image as an icon. 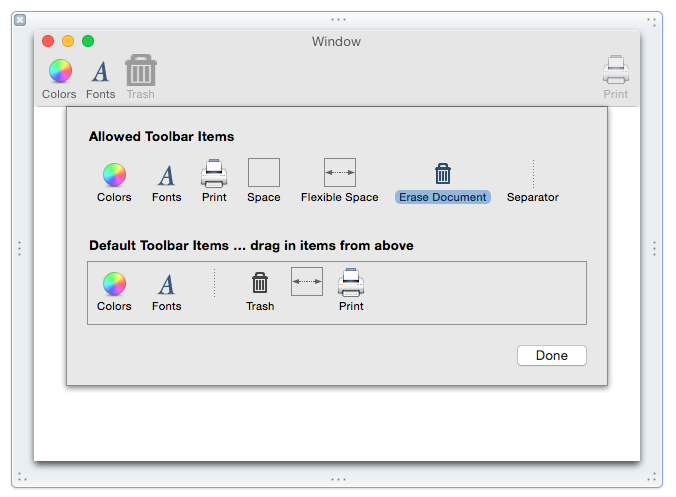 Flexible Space Toolbar Item - Flexible space used to justify subsequent toolbar items. For example, one or more toolbar items followed by a flexible space toolbar item and another toolbar item would pin the last item to the right side of the toolbar. As will be seen later, many standard Cocoa UI controls such as search fields, segmented controls, and horizontal sliders can also be added to a toolbar. To reorder default toolbar items, drag them left or right. Tag - An optional, unique identifier that helps identify the item in code. 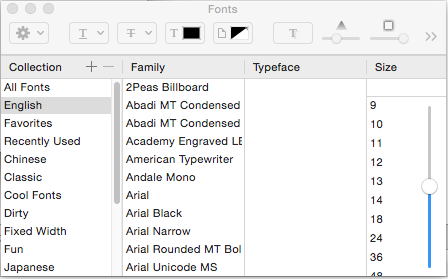 Identifier - Defines the toolbar item type. A custom value can be used to select a toolbar item in code. Selectable - If checked, the item will act like an on/off button. 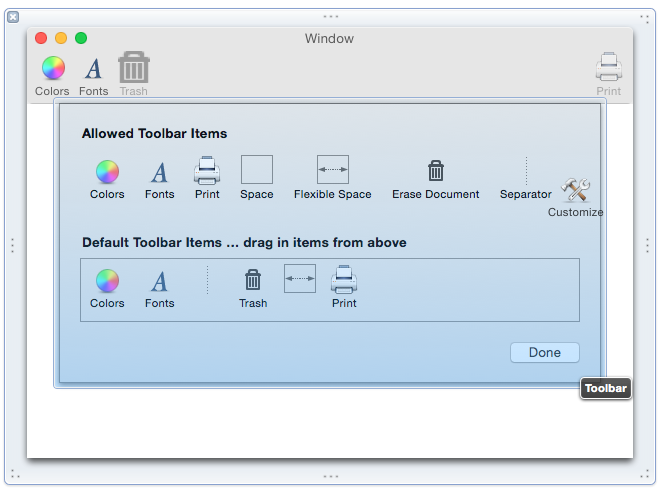 Add an item to the Allowed Toolbar Items area but not the default toolbar to provide customization options for users. 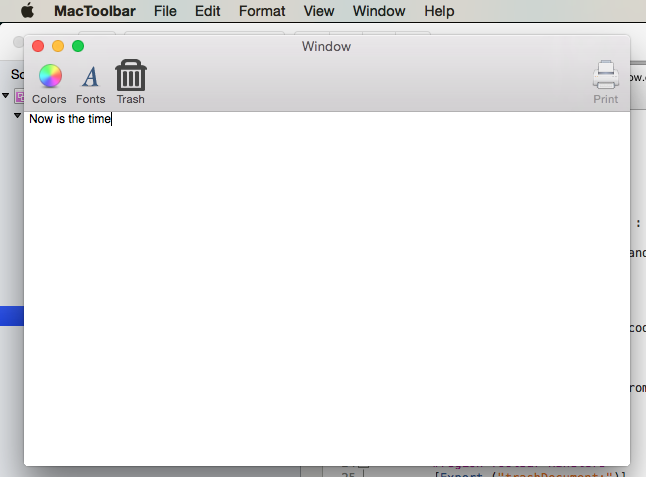 Several Cocoa UI elements such as search fields and segmented controls can also be added to a toolbar. From here, use Interface Builder to configure the search field and expose it to code through an action or outlet. 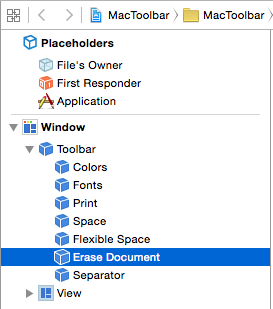 In Visual Studio for Mac, in the Solution Pad, right-click the Resources folder and select Add > Add Files. 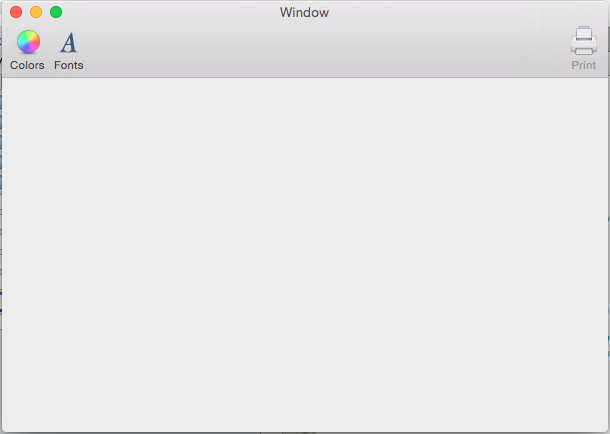 In the Solution Pad, double-click MainWindow.xib to open it in Xcode. Select the toolbar in the Interface Hierarchy and click one of its items to open the customization dialog. 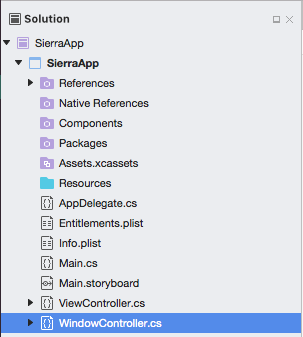 Save changes and return to Visual Studio for Mac to sync with Xcode. 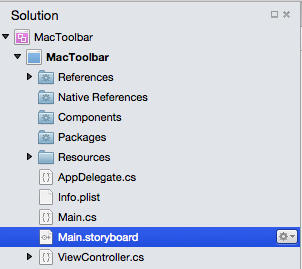 In the Solution Pad, double-click Main.storyboard to open it in Xcode. Open the Assistant View, select the WindowController.h file, and control-drag from the toolbar item to the WindowController.h file. 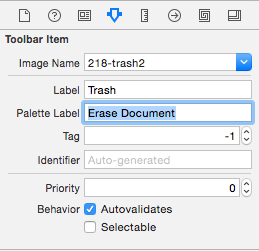 Notice that the Trash toolbar item can now be used to delete text. 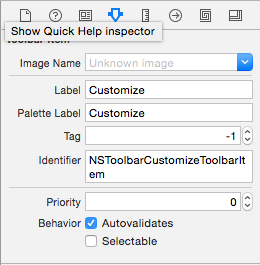 To disable an item on a toolbar, create a custom NSToolbarItem class and override the Validate method. 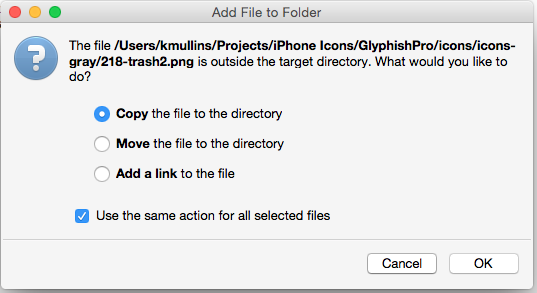 Then, in Interface Builder, assign the custom type to the item that you want to enable/disable. 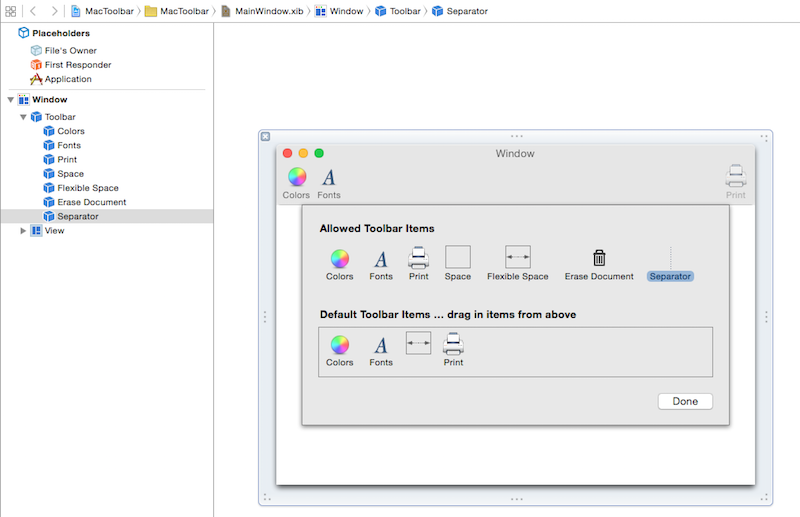 This article has taken a detailed look at working with toolbars and toolbar items in a Xamarin.Mac application. 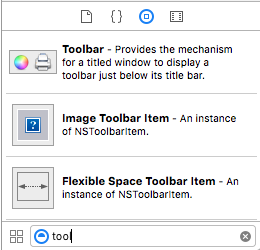 It described how to create and maintain toolbars in Xcode's Interface Builder, how some UI controls automatically work with toolbar items, how to work with toolbars in C# code, and how to enable and disable toolbar items.